Do you and your partner make beautiful music together? Sorry, that was corny (But…do you?). Music and romance go hand in hand, so get those fingers busy when you attend a weekend DJ workshop from Off Centre DJ School. 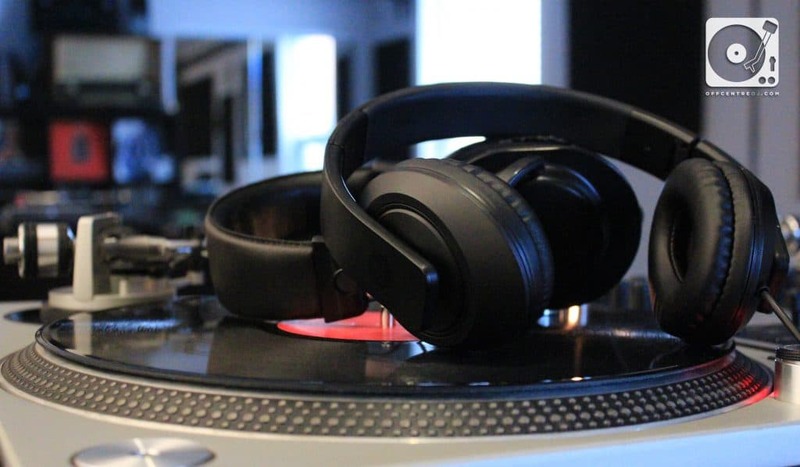 Sign up for a two-hour session, where you’ll both learn how to navigate a turntable and mixer. Every love song deserves a remix, right? Do you and your boo love watching scary movies together? Up the ante with a Ghosts and Spirits of the Distillery tour. Lantern light will guide you and a small group, as you hear tales of death duels, bootlegging, and War of 1812 battles. Halloween doesn’t have to get all the spooky fun. Do your thing. Photo via Battle Sports Inc.
Want to truly bond with your love? Partner up and take suckers down at archery dodgeball. 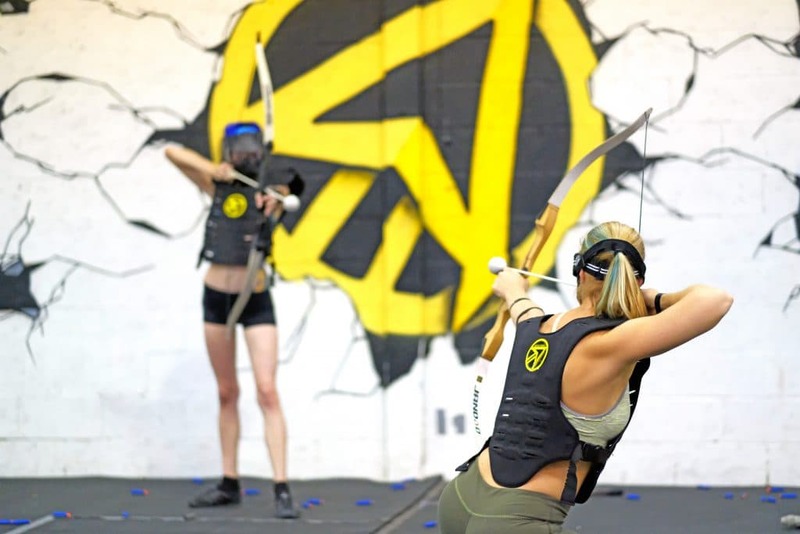 Sign up for a game at Battle Sports, where you and your person will be handed arrows and gear and set up for a grand battle against other gamers. You might even want to consider making this a double date. Competition is good for the heart, right? Normally, we wouldn’t recommend jumping into a wind tunnel, but you two aren’t exactly a traditional couple—and that’s a good thing. Treat your partner to some indoor skydiving at iFLY Toronto, where you two will go soaring when the winds rev up from 50 km/h to 300 km/h beneath your body. And hey, this also makes a stellar first date in Toronto if you really want to dive into romance with someone new. Want to score points for an old-fashioned date? Split a milkshake (or a cocktail) at Snakes and Lattes and play nostalgic board games. If you think you were a baller when you played games like Snakes and Ladders back in the day, just wait until you battle against your love. It’s a cute date idea that’ll definitely bring out the smiles. Photo via Beer Lovers Tour Co. Roses are red, violets are blue, and a good stout makes the world fall in love with you. 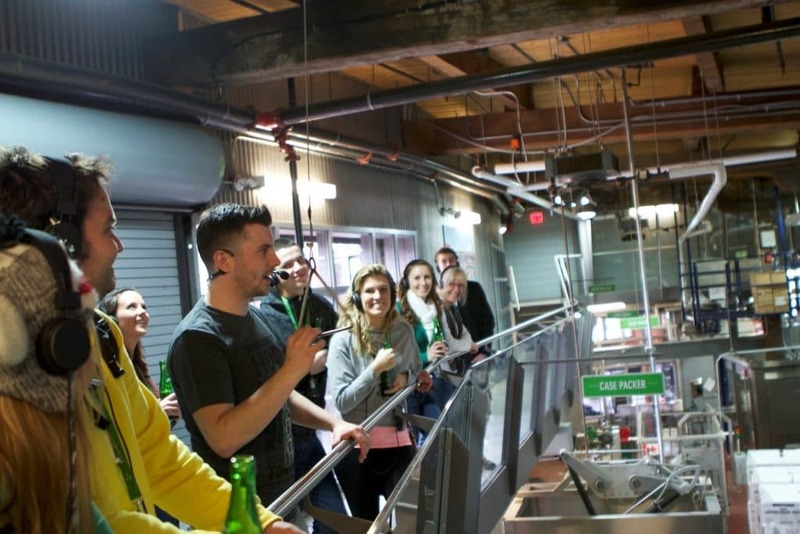 If you and your sweetie are all about the sours, don’t miss a Beer Lovers Tour (https://www.beerloverstour.com/), where you can get plenty of sips of those good ambers. When it comes to fun dates in Toronto, you can’t beat a plethora of top-notch brews. Life can get crazy. When you add up alarm screeches, congested traffic, and Pete in finance always taking your sandwich, well, it’s no wonder you need a holiday. There’s a good chance your partner feels the same about their work week, so treat yo’selves! Make a date at the Elmwood Spa for a pampered afternoon, far away from everyday cares. Obsessed with pork and you cannot lie? 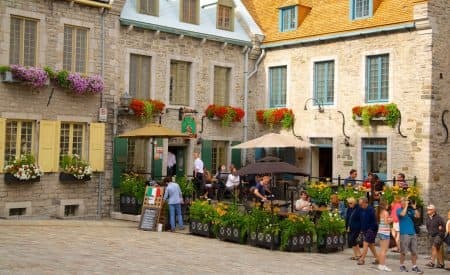 Then take your love on a When Pigs Fry food tour, where you can sample tons of bacon, pork, and sausage throughout Toronto—which, in case you haven’t heard, is nicknamed Hog Town. Sure, it might be a bit sappy, but let’s be honest, is there anything sweeter than apple picking with your love? 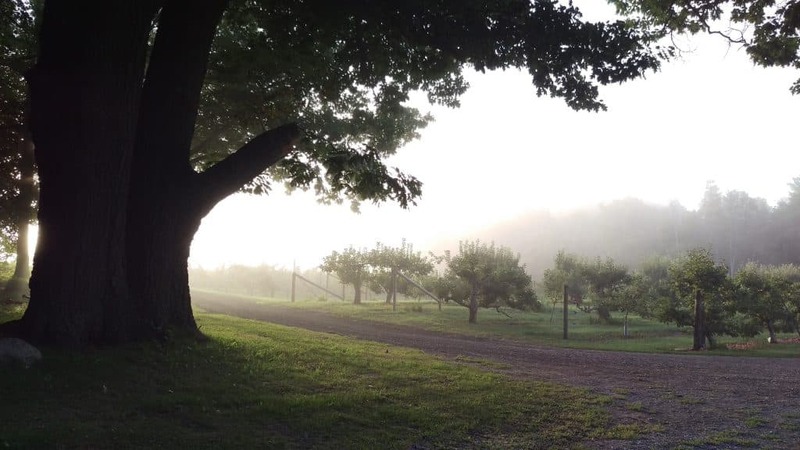 Head down to Pine Farms Orchard, where you can pick apples from 21 different varieties. Take a peek at their harvest schedule to find the apple of your eye. What’s a casual date night idea that’s still magical? A stroll together during Third Thursday. On the third Thursday of each month, Dundas Street West is filled with live music, street art, and vendors selling wacky treasures. Grab a drink and pick out some art during this fanciful date. It’s date night! And whether you’re travelling into Toronto or live here already, treat yourself and your partner to a night on the town. We believe you’ve earned it.